My Mother has been following my blog with interest and has reported back that it’s really increasing her awareness of plastic. 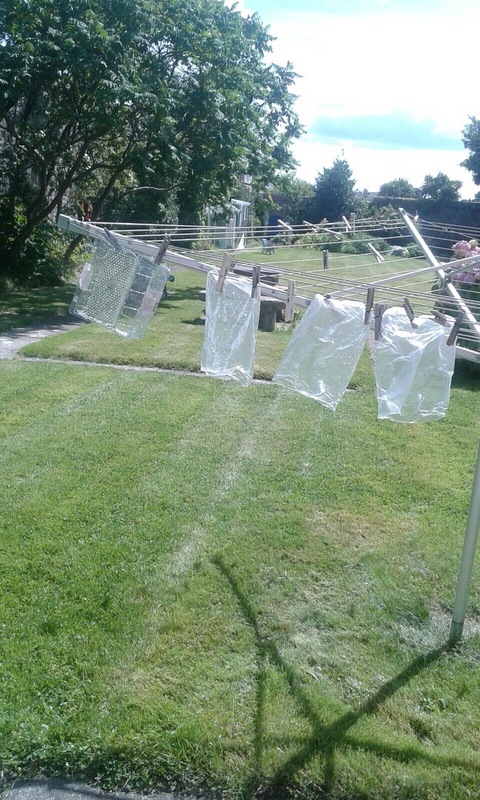 After my last post, she sent me this picture to demonstrate that she’s been washing and reusing every plastic bag! I was really impressed. 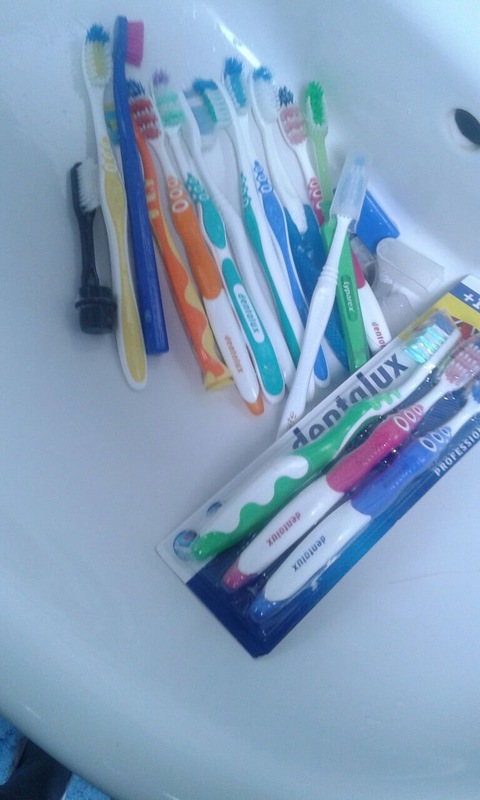 I must admit to an emergency toothbrush stash, but not one that big! You never know when you might need a toothbrush!